Before you know it a hedge can become over grown and out of control. The J E Varley team specialise in helping people get on top of their hedges and making them manageable. We believe in trimming the hedge to make them look neat, prim and fit in with the local environment, we also ensure they’ll grow back in a tidy fashion. 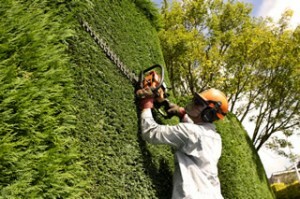 We use motorised equipment that can cut through even the most densely grown hedges, our trimmers are expertly maintained and we use the latest safety equipment to ensure the work site is well prepped and we leave no mess. If you’ve got a hedge growing out of control and you need some help maintaining it then speak with the J E Varley team, we love complicated and will cut back anything!